12 Reasons Why Goats Milk is Great! 1. Raising goats is environmentally friendly and economical- they require little space, feed and water compared to cattle. 2. Goat milk is lower in fat than cows milk but still contains high levels of protein and amino acids. 3. Goat milk is calcium rich. 4. Goats are rarely (never on our farm) treated with growth hormones. 5. Goat milk contains selenium which boosts the immune system. 6. Goat milk does not stimulate the immune system to produce mucous. 7. Most people who experience an allergic response to milk can consume goat milk comfortably. 8. Goat milk is naturally homogenized. 9. Goat milk has smaller fat globules for easier digestibility. 10. Goat milk is lower in lactose which make it easier to digest. 11. Goat kids are more similar in size at birth than cattle to human babies and have similar nutritional and growth requirements making their milk more similar to humans for nutrition and digestibility. 12. 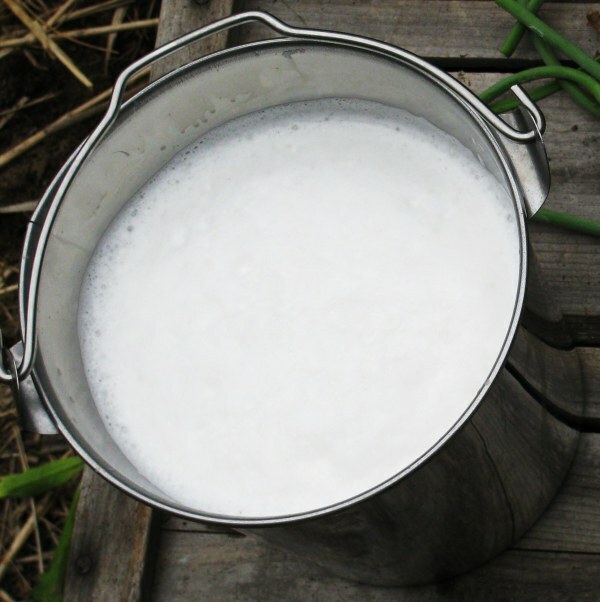 Goat milk has higher levels of certain fatty acids which are optimal for health.